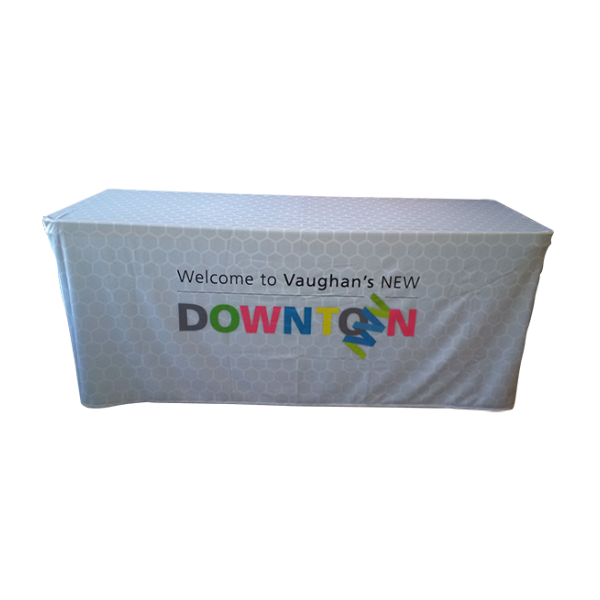 It doesn’t take but a simple product to make a massive difference, and that’s our belief about this stretch custom printed table cover. 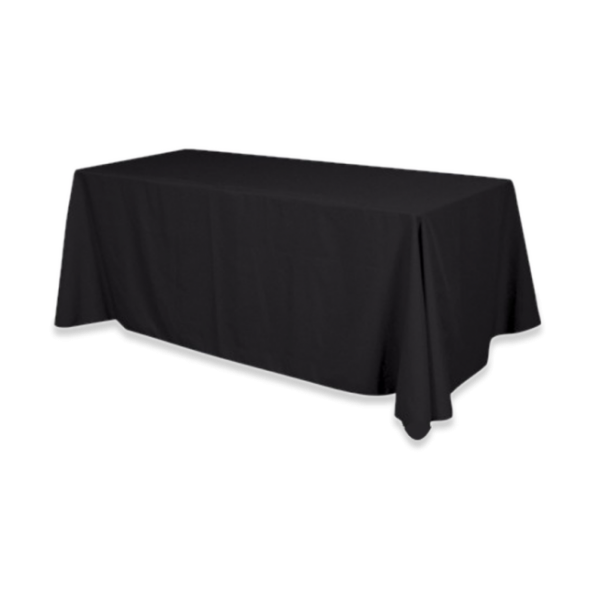 The 6’ model is designed to slip over the table, conceal the underneath and provide a tapered look that works to make you look good. 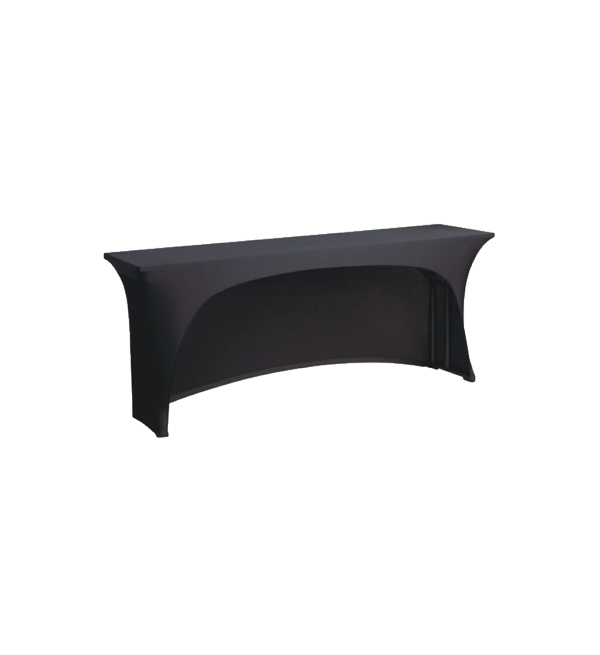 72” x 30” x 30” when stretched in place. 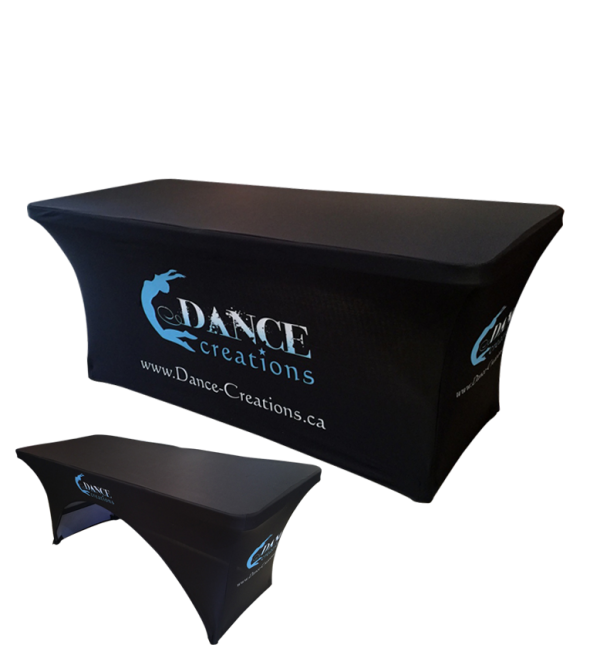 Custom printed graphics on a tension-fabric polyester that stretches back over the legs. 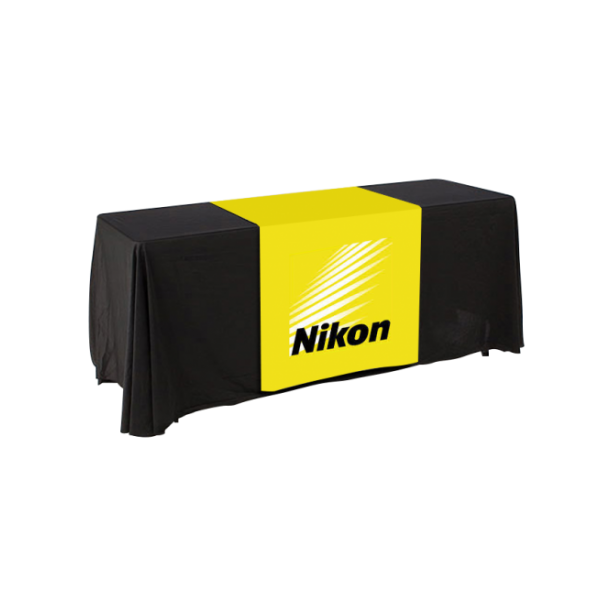 High-resolution printing results in a dynamic and clean display every time. 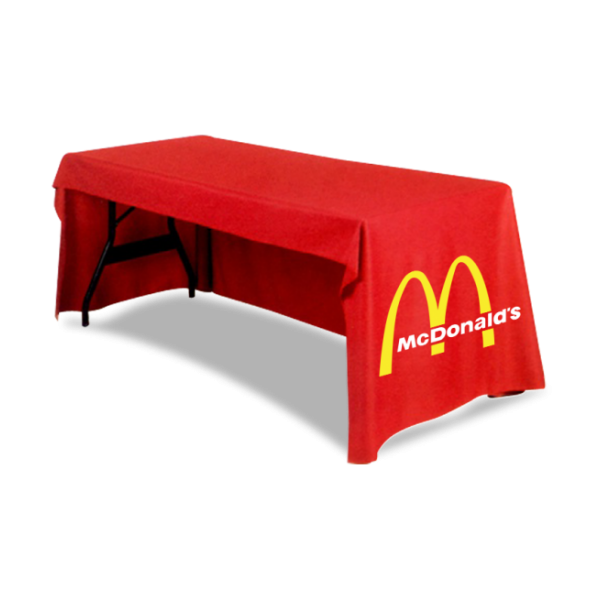 For a look that works just as hard as you do, get a 6’ stretch custom fitted table throw today. 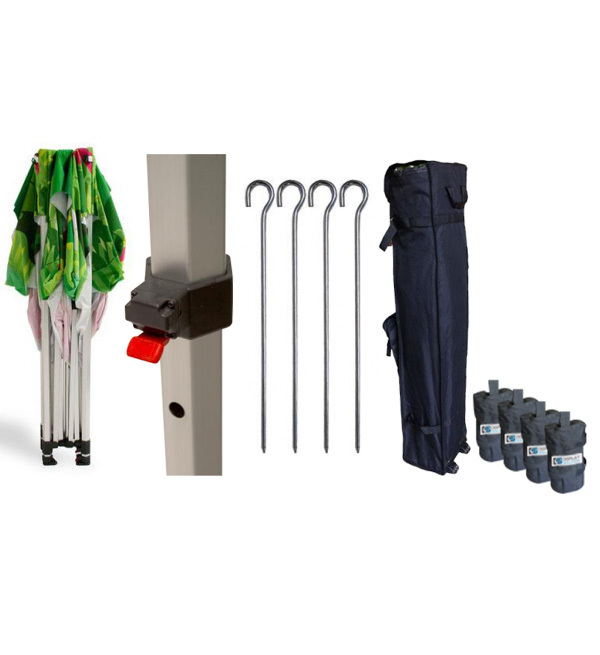 It’s like having your own personal billboard at every presentation you make. 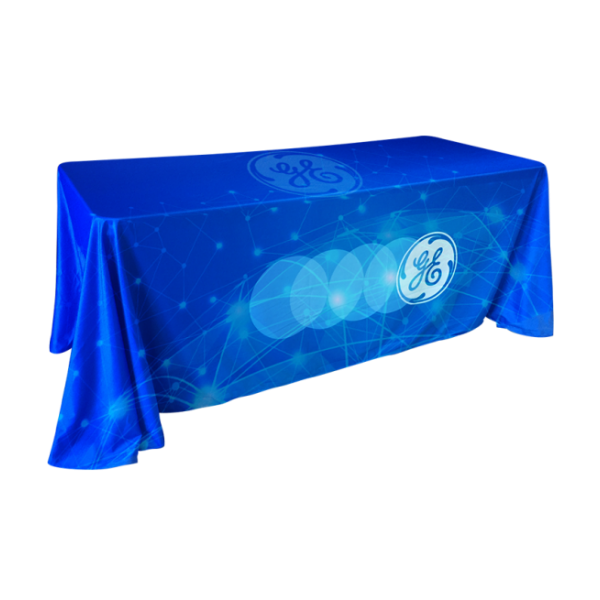 Call Display Solution to get a stretch custom table cover today. 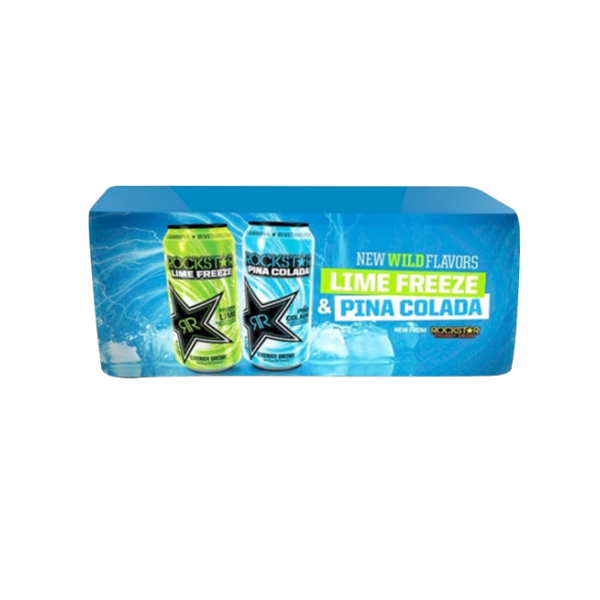 Ordering was easy and very quick delivery. Very happy with the looks of our display and the quality.